When ‘world music’ emerged onto the radio airwaves in the 1980s courtesy of DJs like Andy Kershaw and Charlie Gillett, its fresh sound tickled many ears as something exotic. Even though it might have been music rooted in a nation’s tradition for many years, it was dramatic and new to Western ears. 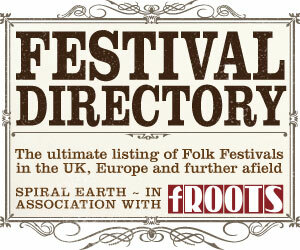 As time has gone by, access to such music has increased in a manner that has meant the novelty has worn off. That’s not to say that there isn’t some classy ‘world music’ to be had as ‘Written in Water’ proves. It’s just that we may not label this great record in that way on the record shop shelves anymore. 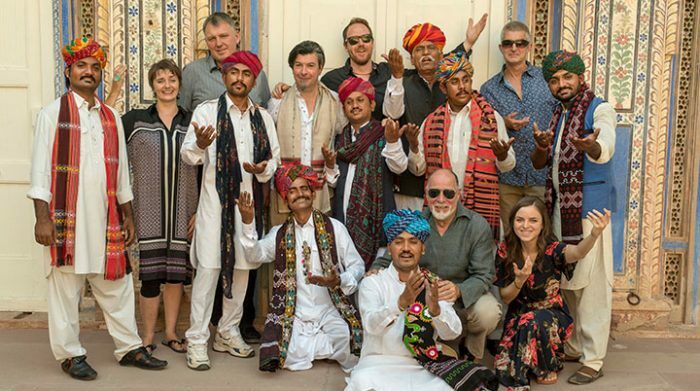 Bringing together the acid croft of Scottish band, Shooglenifty, with the rich rhythms of Dhun Dhora from Rajasthan proved to be a challenge all round. Not only was there the geographical distance but both bands lost valued members in tragic circumstances during the planning of this meeting. Nevertheless, courtesy of the Jodhpur Riff festival, recording took place in the magnificent Mehrangarh Fort which resulted in the eight tracks on ‘Written in Water’. The first moments of ‘Bovaglie’s Plaid’, the opening track, offer a poignant touch as the sadly departed Angus R Grant’s fiddle floats into the senses before a piece of Rajasthani poetry is sung in response. Brief, but emblematic of what is to come as it captures just how perfectly the two approaches fit together. A blending of these accomplished bands that is well worked across the whole record in a seamless manner. Typical of this is ‘Jog Yer Bones’ which starts with a traditional song of Rajasthan sung by Roshan Khan into an i-Phone, ‘Avalu’, before the two bands hit danceable beats that drift perfectly into the fiddle tune of Laura Jane Wilkie’s ‘Jump Yer Bones’. Slower paced is the mix of some mouth music from South Uist, ‘A’bhriogais Uallach’, sung in Scots Gaelic and interspersed with ‘Raag Das’ sung by Dayam and Sardar of Dhun Dora. This might all sound quite crazy to you but it’s magical in its effect. As if to prove that their music has been fully integrated, ‘Nigel’s Escape’ puts together two tunes with the first, ‘Nigel Escapes The Fort’ carrying forward gently after some Rajasthani vocal introductions before the reeling ‘Gypsy’s Dance’ gets blessed with the dynamic dancing of dhol drums. There follows a slow build into the title track which forms the atmospheric closer to the record with its first part dedicated to Angus R Grant and its response, ‘Saawan Aayo’, reflecting on the relief brought by the rains that follow the heat of Rajasthan. 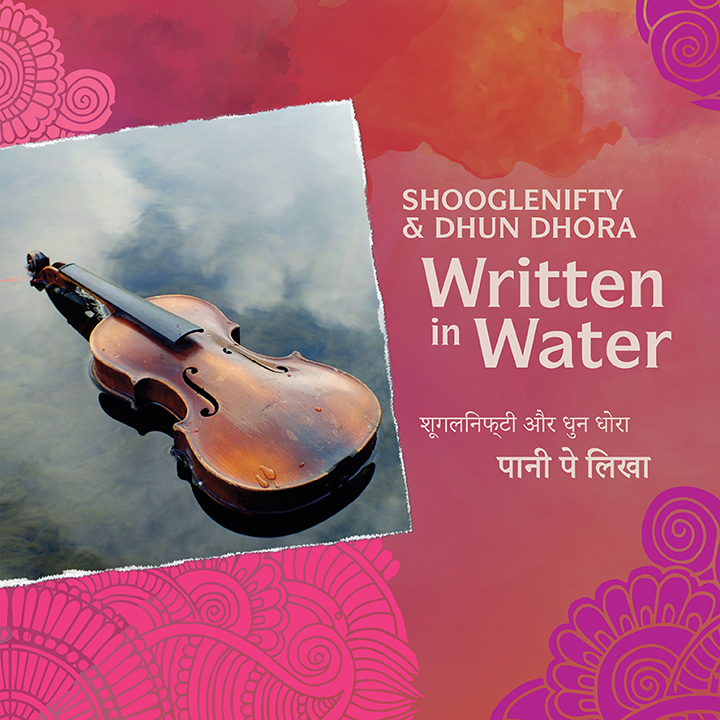 Whilst collaborations across geographical and musical boundaries can sometimes dilute their individual strengths, Shooglenifty and Dhun Dhora have produced music on ‘Written in Water’ that has energy and soulfulness in equal measure. There’s no other label to put on this record other than ‘brilliant’.